Digestive issues can be discomforting and problematic. Although many people will turn to over the counter medications for common problems like bloating, upset stomach, and diarrhea, many of these medicines come with unwanted side effects. For anyone that is looking for a natural and safe way to ease digestive problems, burdock tea is an excellent way to relieve illnesses and symptoms related to this. The digestive system is complex and there are many different things that can prevent it from functioning properly. The most common causes among these are stress, dehydration, poor eating habits, or unwanted viruses and bacteria. These are the main things that lead to digestive discomforts such as diarrhea and constipation. Surprisingly, there are even certain medications and antibiotics that can lead to problems with the digestive system. Luckily, these problems can be easily and naturally resolved by good herbal remedies like burdock tea. What is it about burdock tea that makes it good for alleviating digestive problems? The answer to this can be found in the different constituents that the burdock root is made up of. Burdock root contains calcium, tannins, resin, and iron; all of which have been found to aid with a healthy digestive system. These important nutrients can help regulate the digestive system and the presence of tannins and antioxidants help to cleanse and detoxify the system. 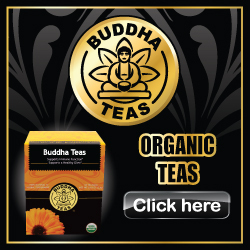 When you drink burdock tea, the elements in it help it to work as a natural laxative. This helps you with issues such as constipation or if you are simply looking for a natural way to cleanse out your body. Since burdock tea can help cleanse the blood and rid unwanted uric acid from the system as well. In order to use burdock tea as a natural laxative it is advised to drink one to two cups of this tea a day, as needed. Avoid drinking this tea if you are pregnant or nursing and be sure to consult with a doctor prior to taking this tea if you are currently on any medications.